Thanks to our Director of Activities, Helen O’Brien, we have a rich activities program at Adira. She keeps our residents and patients engaged with a diverse array of options. Perhaps one of the most popular sessions, is when we bring in some volunteers to join the fun. 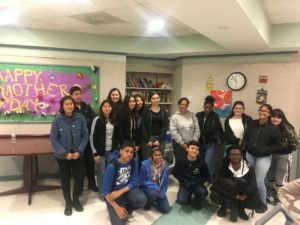 This week, a group of over twenty high school student volunteers from Yonkers Montessori Academy, came to Adira and engaged with our seniors. All of our volunteers are wonderful, and we are lucky to have many, but the energetic vitality that these bright young people bring into our facility simply cannot be understated. Their smiles, laughter and vibrant spirits, elevated the moods of everyone at Adira, especially our seniors! The students spilt into two groups and so they could work their magic throughout the facility. 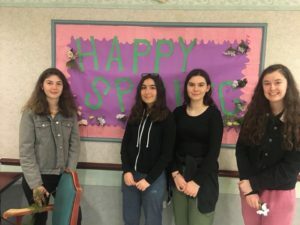 While one group played games, that even included a few sports programs, the other bunch decorated a Spring themed bulletin board and they continued the artistic fun with some painting. 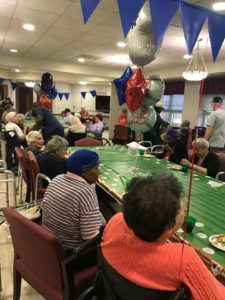 Life in a nursing home can be isolating but community based volunteer programs like this one, help our residents remain engaged and connected to the world around them. Big thanks to the students from Yonkers Montessori Academy, we look forward to having you back again! If you, or your students, would be interested in volunteering at Adira, please contact Helen O’Brien at 914-963-3333. This week, as part of our Getting-to-Know-You series, we would like you to meet our Director of Admissions, Rina Thaper. After a 15-year career on the administrative side of the beauty industry, Rina decided to alter her course and transition into a career in healthcare. While it may seem like a big leap, that’s not necessarily true because there is beauty in taking care of, and caring for, other human beings. Rina feels that her role at Adira has given her even more compassion for senior citizens, as well as, a new appreciation for life. She no longer takes the simple things for granted and it’s no wonder, because working in a rehab facility, one is surrounded by individuals who require help with simple day to day tasks. For some, it’s a temporary situation. For others, the requirement of consistent care has become their new reality. Rina is one of the many people at Adira who work to make that transition as smooth as possible for the patient and the family. 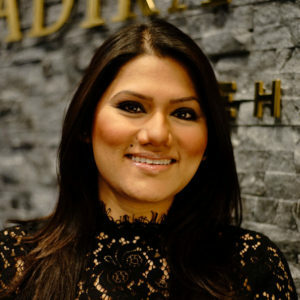 The next time you’re at our facility, be sure to swing by the Admissions office and say hello to Rina. It may be snowing outside today but over the weekend we celebrated the official opening of major league baseball season. Our residents and patients love to watch a good ball game. 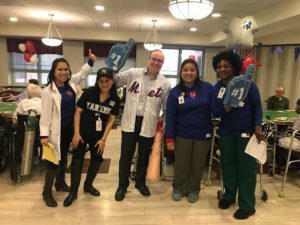 As you can see from the pictures and video below, Eric, our administrator, is partial to games that include the New York Mets! Televised sports programs, like MLB, can be a wonderful way to build friendships and be a part of community, especially while rehabilitating away from home. All of us at Adira, look forward to cheering on our favorite teams over the coming months and providing our patients and residents with a fun, engaging community.